Long Island's North Fork is a pastoral quilt of vineyards and farms by the sea. To the north are the sandy beaches of Long Island Sound and on the south a collection of harbors and fishing villages overlooking Peconic Bay. Stretching out some thirty miles from the mainland, this narrow peninsula is a place of serenity and beauty. 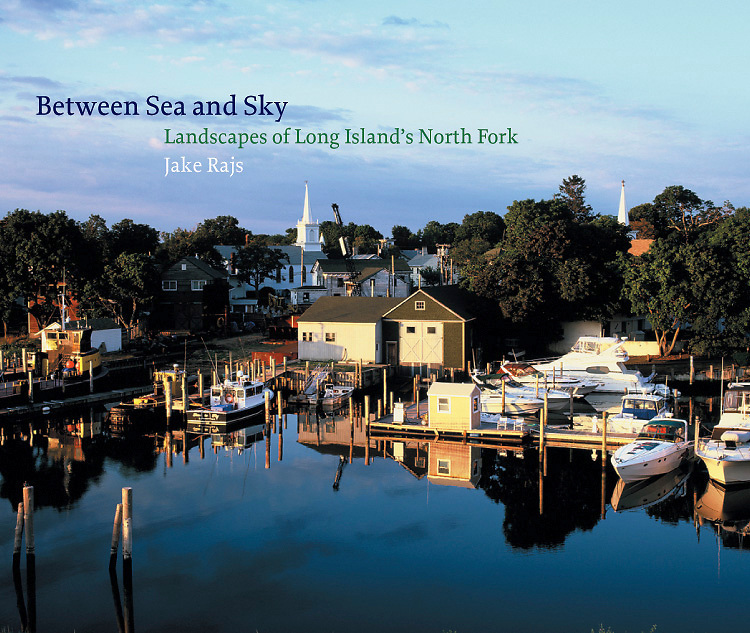 Renowned photographer Jake Rajs has captured the spirit of the North Fork--the glorious color of sunrise and sunset, the calm waters, and the vast expanses of fields and wetlands. He focuses on architectural landmarks as well-the Victorian houses on Shelter Island, eighteenth-century barns, the Orient Point Lighthouse-to create a complete portrait of this unspoiled land.